Your spouse and your doctor are nagging you for good reason: High blood pressure can have you teetering on the edge of a cliff, struggling to maintain a healthy heart and overall cardiovascular system. 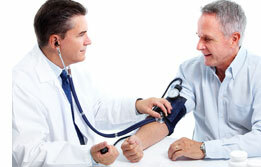 High blood pressure is often referred to as the "silent killer," because you feel fine until suddenly you don't. And this issue is widespread, impacting an estimated 1 in 3 American adults. The medicinal use of the fruit and leaves of the olive tree (Olea europaea) actually dates back thousands of years. Early references to its healthful properties can even be found in the Bible: "The fruit thereof shall be for meat, and the leaf thereof for medicine." (Ezekiel 47:12) Ancient Mediterranean cultures revered the olive tree for its healthful properties. What it all seems to come down to is a compound called oleuropein that's found in both olive oil and—in particularly high concentration—olive leaves. In what is perhaps the most interesting clinical trial, researchers looked at 20 sets of identical twins (to minimize any differences in response based on genetics), with each twin assigned to a different group. Two experiments were conducted. Reductions in both systolic (the first number) and diastolic (the second number) blood pressure were observed in the group receiving olive leaf, while the control group actually saw slight increases. What's more, the olive leaf group began to see improvements in as little as 7 days! In a second 8-week test, researchers compared the effects of a 500 mg daily dosage of the same olive leaf extract to a 1,000 mg dosage. The results were astounding. The participants taking 1,000 mg of olive leaf extract saw dramatic reductions in both systolic and diastolic blood pressure, as well as modest, but statistically significant reductions in total cholesterol and triglycerides after 8 weeks. Another double-blind, placebo-controlled study involving 232 subjects echoed these results. It compared the blood pressure effects of a 1,000 mg dose of the same highly purified olive extract against a placebo. Researchers were once again wowed when the olive leaf extract reduced blood pressure compared to baseline levels. By the end of the study, the olive leaf group's blood pressure went from an average of 145/91.3 (considered high blood pressure) to 133.5/86.5 (below the commonly recognized high blood pressure range). And there was a bonus: To the researchers' surprise, the olive leaf group's cholesterol levels plummeted by an average of 16 points! 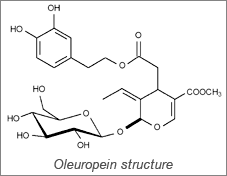 Oleuropein, the active component it contains, has been shown to promote vasodilation, the process by which blood vessels relax and expand to accommodate the blood moving through the vessels. It may also help enhance production of nitric oxide (NO), the messenger molecule in the endothelial lining of the blood vessels that causes vasodilation. [9,10] And it helps to inhibit ACE, an enzyme that causes blood pressure spikes. 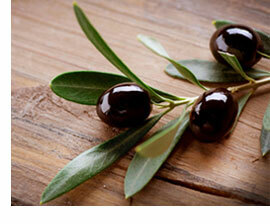 Another way olive leaf helps blood pressure is by fighting free radicals. Oleuropein, as well as other polyphenols found in olive leaf, are strong antioxidants that help to reduce oxidative stress, which is implicated in both blood pressure and cholesterol imbalances. As I'm sure you've been warned, maintaining healthy blood pressure and cholesterol balance is crucial to reducing your risk for cardiovascular problems. Found inside the mitochondria of every cell in your body, CoQ10 plays a critical role in producing the energy your heart needs to circulate blood throughout your body. The problem is that as we age, our body's natural ability to produce CoQ10 declines. In fact, by age 70, your natural CoQ10 levels may be 50% lower than they were when you were a young adult! In addition, statins and other medications can accelerate CoQ10 loss. And when your heart lacks the essential fuel CoQ10 provides, your overall health can suffer dramatically. In fact, studies show that CoQ10 deficiency has a strong association with serious cardiovascular issues. So it's not surprising that clinical research has shown that taking CoQ10 can be extraordinarily beneficial for your overall cardiovascular health. In one notable study, researchers found that 100 mg of CoQ10 daily improved heart function in 66% of subjects. CoQ10 Can Help Lower Blood Pressure Too! What's more, research suggests that CoQ10 may be olive leaf's perfect partner in supporting healthy blood pressure balance. A meta-analysis of 12 human clinical trials found that CoQ10 has the potential to reduce systolic blood pressure by up to 17 mmHg, and diastolic blood pressure by up to 10 mmHg without significant side effects! If you're looking for a natural way to support healthy blood pressure, as well as your entire cardiovascular system, in my opinion, the easiest and most effective way is with a combination of olive leaf extract and CoQ10. In fact, I wouldn't waste my time and money on anything else. And the only way to get all of the amazing benefits of olive leaf extract shown in the research is by taking a dietary supplement. * However, not just any supplement will do. One vitally important thing you must realize when shopping for a supplement featuring olive leaf extract is that oleuropein is a very delicate compound. If it's not processed correctly, it quickly degrades and breaks down into a byproduct called hydroxytyrosol, which has virtually no blood pressure benefits at all. Due to this fact, scientists developed a highly purified and concentrated olive leaf extract using special processing technology to ensure that the oleuropein does not break down easily. This is the only olive leaf extract I have found that stays fresh and potent. For this reason, it's the only one I recommend. It's also standardized to contain high levels of oleuropein and polyphenols. Plus it's the very same extract used in the clinical studies that have shown remarkable results. And CoQ10 has been shown to be difficult for the body to absorb, so any supplement containing CoQ10 should also include a clinically researched dose of BioPerine® black pepper extract which has been shown to increase the absorption of CoQ10 by 30%. I always advise my readers to take both olive leaf and CoQ10 for maximum blood pressure benefits. But taking two different supplements can be inconvenient and expensive. I was surprised that nobody was combining these two amazing nutrients together into an affordable "all in one" solution. So I took it into my own hands to make it easy for my readers to enjoy the remarkable benefits of taking an effective and affordable olive leaf supplement along with the added benefits of CoQ10. I call my formula OliPure BP™ ULTRA, and it works fast, is guaranteed to be effective and costs as little as $19.95 per bottle! This powerful formula provides an extra-strength 1,000 mg dose of the exact same olive leaf extract used in the studies I mentioned above, as well as a full 200 mg dose of CoQ10, along with 5 mg of BioPerine® black pepper extract to boost CoQ10 absorption by 30%. PLUS, it includes two additional well-studied ingredients for blood pressure support, celery seed extract and magnesium, all in just 2 veggie capsules per day! I encourage you to do your own research to make sure I'm not just shamelessly promoting my own product. But here's why I'm confident that OliPure BP ULTRA is simply the leading natural blood pressure support formula out there. ✔ Made with the Best Olive Leaf Extract Available Anywhere: OliPure BP ULTRA is made with highly purified, standardized Benolea® brand olive leaf extract, the very same extract used in the clinical studies. ✔ A Research-Based Dose: OliPure BP ULTRA is an extremely potent formula that provides the full 1,000 mg dose of Benolea® olive leaf extract shown in the research to have the greatest impact on blood pressure, as well as cholesterol and triglycerides. ✔ 200 mg of CoQ10: OliPure BP ULTRA includes a potent 200 mg dose of pure natural trans-form CoQ10 to help keep your heart energized and pumping strong, while providing additional support for healthy blood pressure balance and a healthy cardiovascular system. ✔ 5 mg of BioPerine® Black Pepper Extract: BioPerine® is standardized to contain 95% piperine and is the only brand of black pepper extract that has been shown in research to enhance CoQ10 absorption by up to 30%. ✔ Quality You Can Trust: OliPure BP ULTRA is guaranteed to be safe and effective. It's made in Stop Aging Now's own FDA-inspected facility located in Florida to meet or exceed the stringent USP standards for quality, purity, potency and disintegration. Plus, the olive leaf extract used undergoes special treatment to remove any possible pesticide residues, contaminants and pollutants. ✔ It's Affordable and Risk Free: This amazing formula is available for as low as $19.95 per bottle for a one-month supply. At this incredible price, it's like getting the CoQ10 for free! Plus it ships to you for free and comes with an "any reason" 365-day guarantee. That's right—take it for up to one year, and receive a full refund if you don't like it. I honestly want this product to be the solution you've been looking for, and I want you to WOW your doctor at your next checkup. But I'm sure you've heard many promises before, which is why OliPure BP ULTRA comes with an unbelievable 365-day return policy. The great news about OliPure BP ULTRA is that it goes to work quickly, and you'll start noticing the effects faster than you may have imagined. OliPure BP ULTRA is a smart investment. I hope you'll give it a try! Per Bottle, PLUS Free Shipping. 2. Phytother Res. 2008;22:1239-1242. doi: 10.1002/ptr.2455. 6. Nutr Rev. 2009;67:632-638. doi: 10.1111/j.1753-4887.2009.00248.x. 12. J Am Geriatr Soc. 2007 Jul;55(7):1141-2. 15. J Hum Hyperten. 1999;13:203-8. 18. Clin Investig. 1993;71(8 Suppl):S134-6. 19. J Hum Hypertens. 2007;21(4):297-306. 20. Atta-ur-Rahman. Studies in Natural Products Chemistry: Bioactive Natural Products, Part 1000. Elsevier. 2011. 21. Planta Med. 1998; 64(4): 353-356. 22. J Med Food. 2013;16(6): 558-63. 25. Curr Ther Res. 1996;57(10): 767-74. 26. Trace Elem Electrolytes 2012;29(2):113-6.